← New additions for Sundown Festival revealed: Updated line-up! 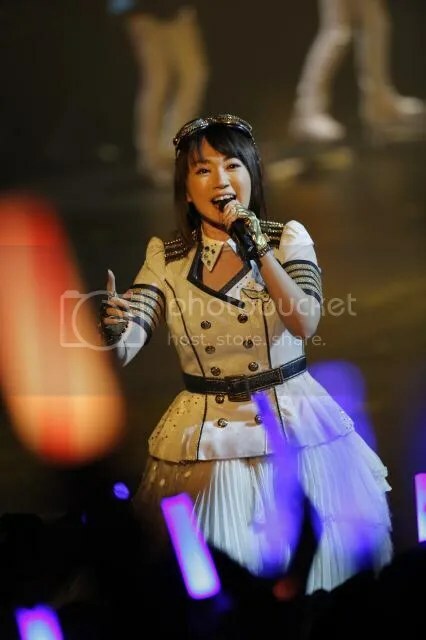 If you are a fan of Anime or Anisong, you would have come across the name Nana Mizuki, one of the most popular and respected voice actress. Hinata Hyuga (Naruto) and Takatsuki Nanami (Dog Days) were two of the many roles she had took up since she debuted in 1998. We were honored to be able to join her 1,500 fans at her first ever concert last Saturday in Singapore . 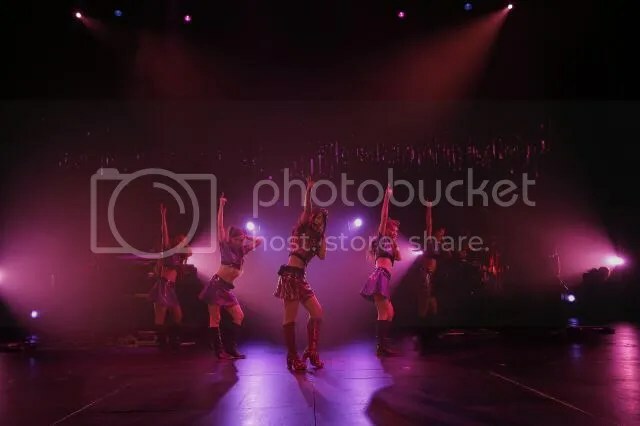 The minute the lights went off and the music intro for “Virgin Code” came on, all the fans stood up with their penlights switched on, showing excitement for the concert. They stood throughout the whole show despite it being a seated concert. Nana then appeared in a white dress and the crowd was filled with cheers, singing along with her. After singing two songs, she greeted the fans in English, “I’m so excited to have my first live in Singapore! Are you excited too?” She added that her English isn’t very good so from that moment onwards she would speak in Japanese instead and apologized to the fans. Since the concert was also broadcasted via Live Viewing in Japan (51 cinema theaters nation-wide), in Hong Kong (3 theaters), Taiwan (3 theaters), Thailand (1 theater), she didn’t forget to greet them as well, waving happily at the camera. Each time she had to go for a costume change, the crowd was entertained by the live band, Cherry boys and her dancers, Team Yoda. During the first costume change, a videoclip of Cherry Boys doing the parody of “Thunderbirds” got the crowd giggling. Not to mention, the visual effects displayed on the screen for every song was very fitting. Nana and her team definitely put their effort into every detail for this concert. One of the crowd’s favourite songs for that night was no doubt, Eternal Blaze. It got the fans so hyped up. From the usually blue lightsticks, the theatre was suddenly filled with orange lights – Eternal Blaze’s trademark. The fanchants was loud and clear. Everyone clearly love this song. The venue was continuously lit up with blue, orange and pink lightsticks depending on the songs she sang. Boasting a range of songs from different genres, no one can deny that Nana is blessed with a huge vocal range and her experience as as Enka singer totally shone through that night. 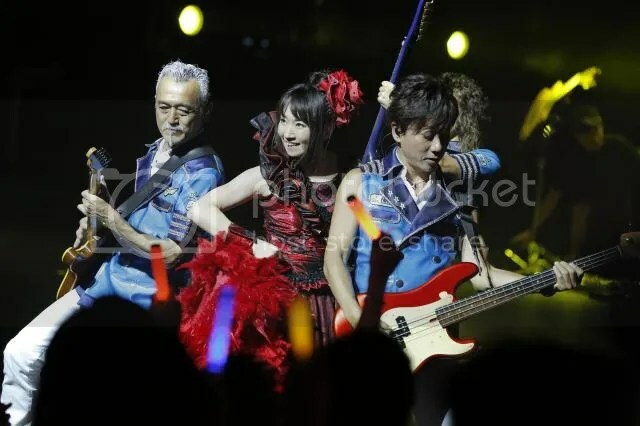 Those who were there also got to see the live premiere of her new single「禁断のレジスタンス」(Kindan no Resistance) which is the theme song for TV anime 「クロスアンジュ天使と竜の論舞（ロンド）」(CROSS ANGE) . Even though she had bid her goodbye, everyone kept chanting “Nana! Nana! Nana!” while waving a blue flag. Nana then treated us a double encore that evening. 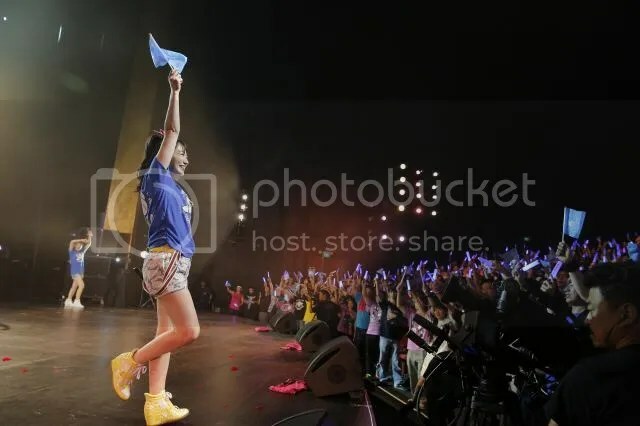 She sang while holding that same blue flag, in appreciation of her fanclub who made it. Before the final song “Shin Ai” – voted as the most favourite song amongst Singapore fans, she put her mic away and shouted “Thank you so much for coming tonight!” as loud as she can as she bowed to the crowd. The Fifth Parlour would like to thank Amuse Entertainment Singapore for the invitation.